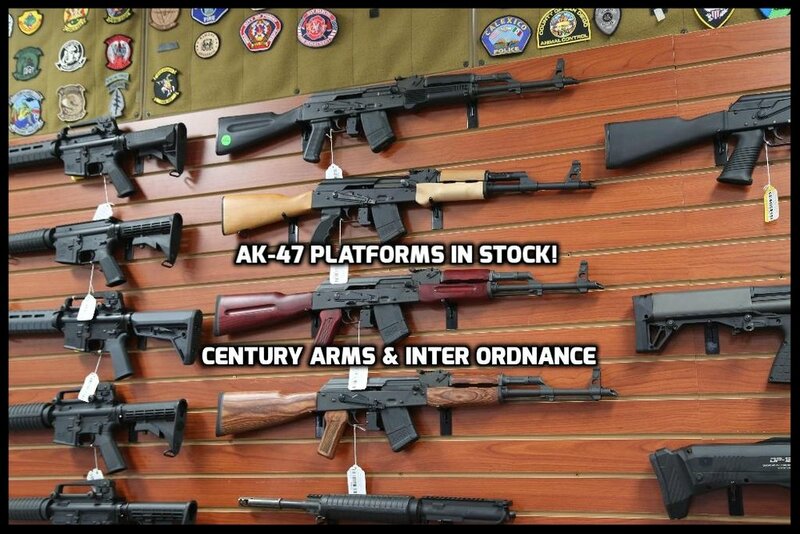 AR-15, AK-47 and Other Rifles in Stock! North County Firearms currently has a *limited* supply of AR-15 and AK-47 platform rifles in stock! Come on by the shop to see what we have. Get your rifle before the upcoming election in Nov.! San Diego County Gun Owners Meeting @ NCF! Join us and San Diego County Gun Owners for a meeting at North County Firearms tomorrow, Wednesday July 20th, at 7pm. Follow link for event details. See you there! ALERT: Anti-Gun War Rages in California Legislature. Take Action Now! California residents, and all other constitutional-supporting, freedom-loving Americans, we need your help now! As you saw yesterday, the California State Senate pushed through TEN anti-gun bills. AB 156: Bans common ammunition purchases, creates a DOJ database of ammunition owners. AB 857: Requires serialization of ALL unserialized firearms, both retroactively and moving forward. AB 1135: Bans common and constitutionally protected firearms that have magazine locking devices, such as “bullet buttons”. AB 1511: Criminalizes loaning of firearms between personally known, law-abiding adults. SB 880: Bans common and constitutionally protected firearms that have magazine locking devices, such as “bullet buttons”. SB 894: Victimizes victims by criminalizing the failure to report lost and stolen firearms within a short time frame. SB 1006: University of California taxpayer funding for gun control research. SB 1235: Bans common ammunition purchases, creates a DOJ database of ammunition owners. SB 1407: Requires serialization of ALL unserialized firearms, both retroactively and moving forward. SB 1446: Retroactively bans possession of lawfully acquired, standard capacity magazines that can hold over 10 rounds. We all need to unite under our constitutional rights and send the message to our representatives loud and clear that "enough is enough when it comes to our 2nd Amendment!" California Gun Legislation - Urgent, Take Action! Please be sure to help us fight for our 2nd Amendment rights here in California! In a state where our gun rights are being eroded every day, it takes the patriots of this beautiful state to fight for their rights. Remember that our freedoms have cost many with their very lives, so get off your chair (or in this case you can stay seated) and fight for your 2A rights now! Welcome To The Brand New North County Firearms Website! North County Firearms is San Diego's premier, full-service gun store & training facility. We offer firearms, ammunition, firearm accessories, optics, magazines, tactical gear, knives, tools, bags/packs, and a professional gunsmith. We also have a shooting range under construction that will be finished early 2016: North County Shooting Center. Until it's done, we are featuring private firearm training on our high-tech firearm simulator next door with a professional trainer. Please feel free to let us know what you think of the new site and how we can improve it. Thank you as always for your patronage.